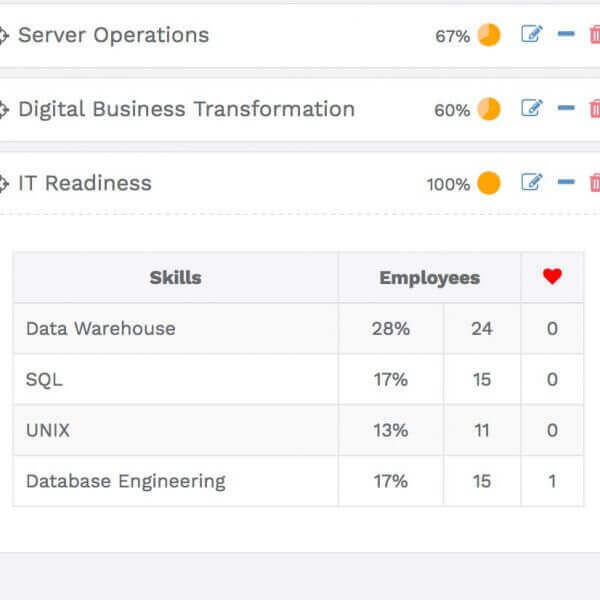 People-Analytix helps you manage the skill shift in your organization. The entire functionality of the Virtual Career Assistant explained in 2 minutes! The dashboard provides an overview of all relevant user data. 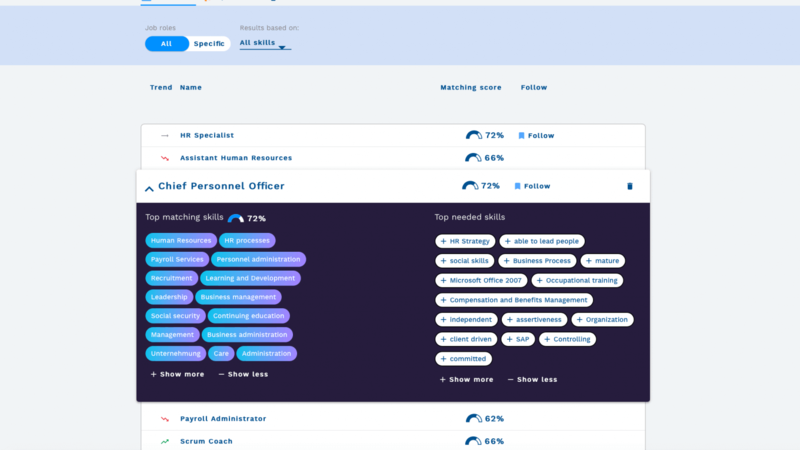 Actions such as adding skills, following specific roles or market trends, recognizing career opportunities matching with the user's skill profile and many more can be performed directly from the dashboard. 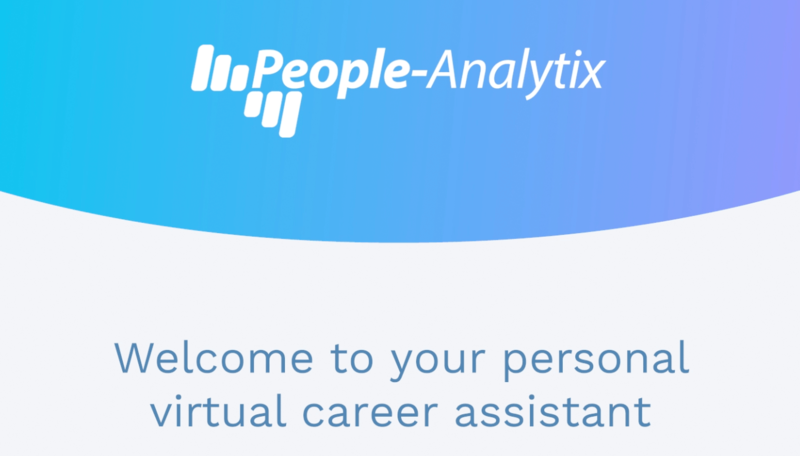 People-Analytix supports user in creating their skill profile by recognizing skills out of documents such as CV or job descriptions, by suggesting skills based on job titles or by choosing skills from a structured and broad multilingual skill library. The skill profile contains all confirmed skills, the level of expertise, interest and motivation to improve. 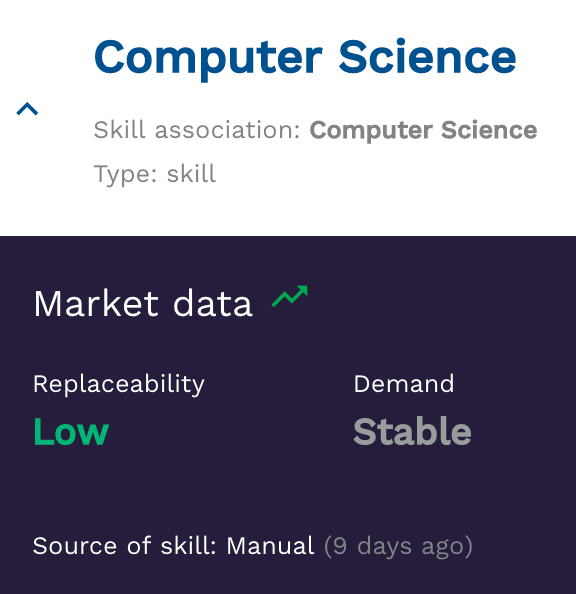 For each skill a detailed view is available indicating market trends internal availability of each skill. 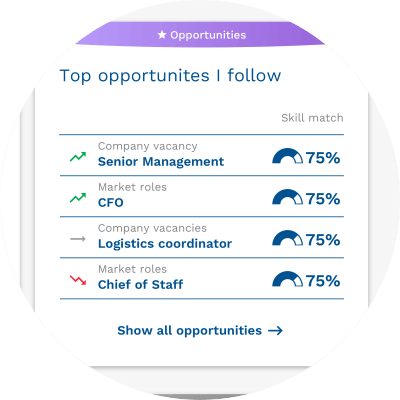 Based on the employee's skill profile, appropriate career opportunities are being proposed with a matching score. 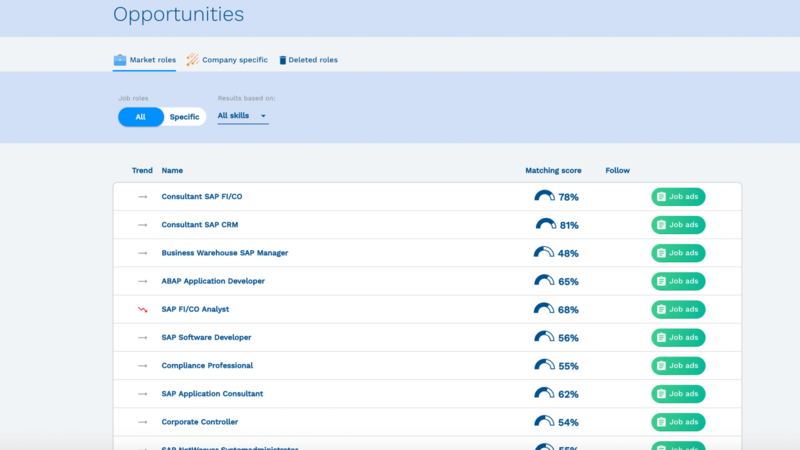 With one additional click all available job ads for the specific opportunity can be accessed. 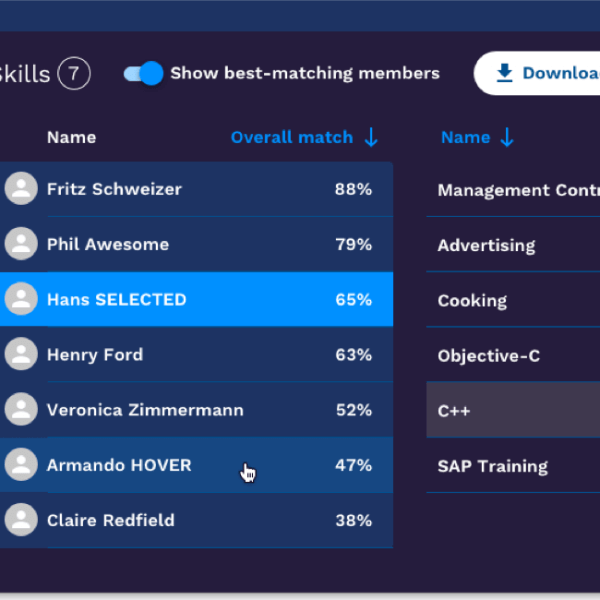 The user can click on the proposed opportunities to learn about the matching and missing skills and to understand the skill gap and development areas. With a manager or corporate view managers or HR have access to the skill inventory of a specific area. In addition managers or HR can define sets of skills (called capabilities) and check the availability of such skill sets among the workforce. 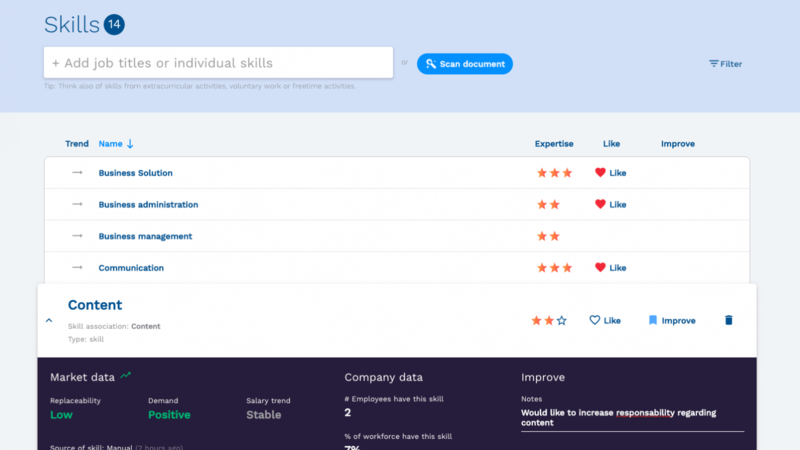 Capture skills within your organization and teams across countries and different languages to better understand employees’ capabilities and possible skill gaps. 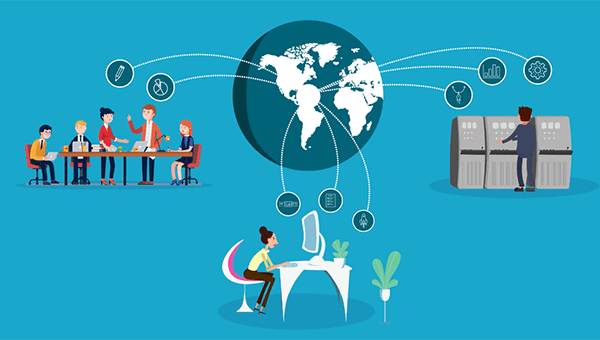 Understand the skill set underlying roles and the capabilities of teams, and actively develop them along your strategy. Understand which employees can be developed into future roles. 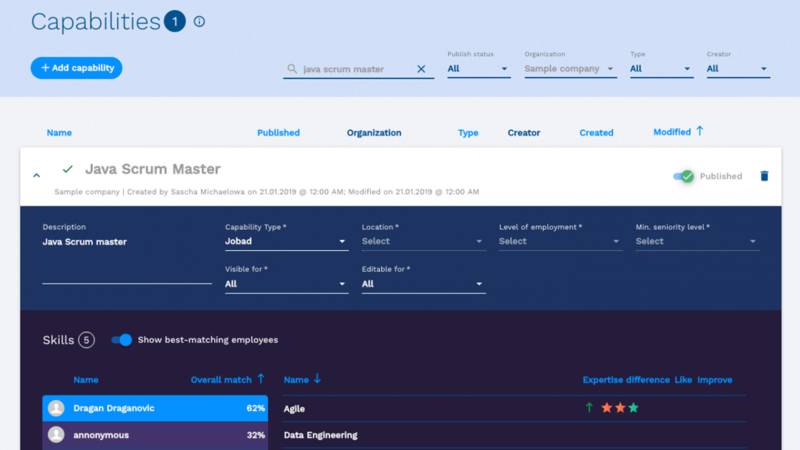 Add the all-important qualitative element to your quantitative workforce data. Easily identify people within your own organization who have the skills to fill a vacancy or be part of a project team. 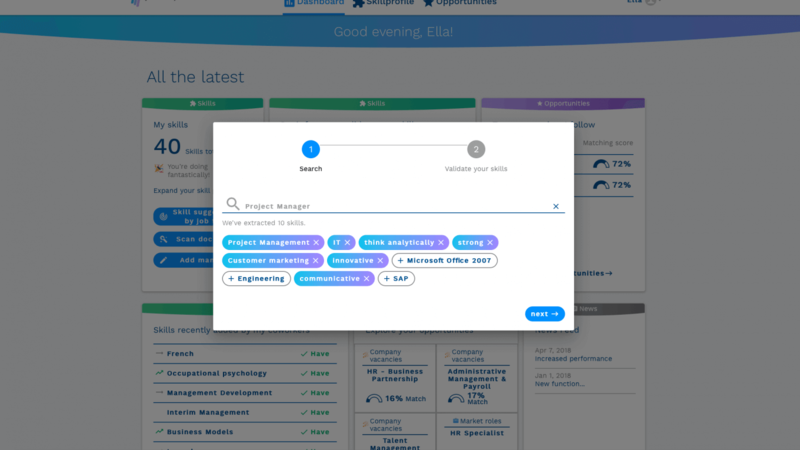 At the same time, your employees get informed automatically when a project or vacancy matches their skill profile. 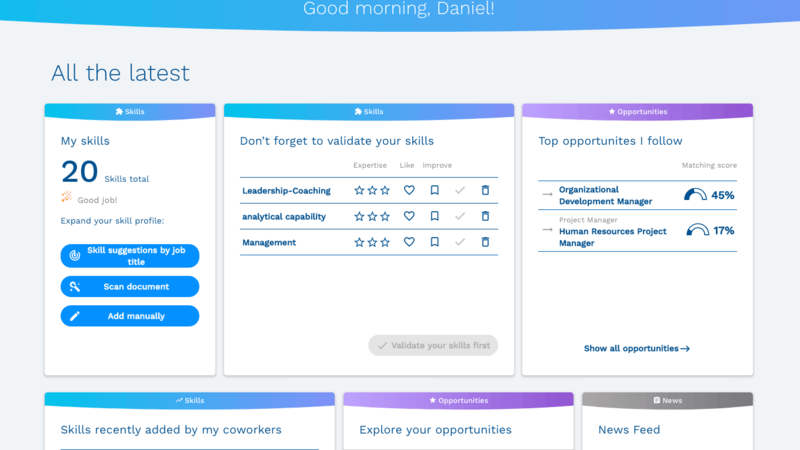 Benefit from your personal career adviser to help you manage the skill shift, identify new career opportunities, and increase your employability. Understand market trends around jobs and skills so that you are aware of upcoming changes early on.